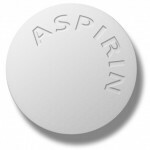 Aspirin Exacerbated Respiratory Disease (AERD), also known as Samter’s Triad or Aspirin Sensitive Asthma, is a chronic medical condition that consists of asthma, recurrent sinus disease with nasal polyps, and a sensitivity to aspirin and other non-steroidal anti-inflammatory drugs (NSAIDs). Approximately 10% of all adults with asthma and 40% of patients with asthma and nasal polyps are sensitive to aspirin and NSAIDs. The AERD Center is proud to announce the addition of Dr. Lily Li to the clinical staff at Brigham Allergy! Dr. Li will be running an allergy clinic for patients with a history of aspirin & NSAID reactions. She attended the Cleveland Clinic Lerner College of Medicine of Case Western Reserve University and completed her residency in Internal Medicine at New York-Presbyterian Hospital Weill Cornell Medical Center. She is in her second year in fellowship in Allergy at Brigham and Women’s Hospital. Her research Interests include diagnosing and improving care for patients with listed NSAID allergies including screening those patients who may require alternative pain medications. She is currently in the process of developing a pathway for allergist to evaluate and provide safer pain management for NSAID-allergic patients. This manuscript from the Scripps AERD Center in California gives an all-encompassing picture of Aspirin-Exacerbated Respiratory Disease. In this comprehensive review, Drs. White and Stevenson aim to educate readers on the history of AERD, classical reactions to NSAIDs, diagnosis, prevalence of the disease, and available medical & surgical treatment. It is heartening to see the New England Journal of Medicine highlight this important disease since awareness is one of the greatest barriers to care in AERD. The Scripps Clinic in La Jolla, CA has a very active AERD Center. To learn more about them and their research head over to https://goo.gl/vD51CB. This study, directed by Dr. Elina Jerschow’s group in New York, was the first to examine levels of depression and disease- and asthma-related quality of life among patients with AERD. They found that although ratings of asthma severity were more severe for AERD than for the control group of asthma-only patients, AERD patients reported lower levels of depression symptoms (p = .049), better overall asthma-related quality of life (p < .001), and perceived their asthma to be less severe (p = .01) compared to asthma-only patients. This suggests that patients with AERD may be particularly resilient given their low levels of depression symptoms and positive views of asthma-related impairment despite higher clinician-rated asthma severity. Dr. Jerschow speculated that the more common adult-onset nature of AERD might be a protective factor on mental health.